Hip hop has long been a vehicle for protest in the United States, used by its primarily African American creators to address issues of prejudice, repression, and exclusion. But the music is now a worldwide phenomenon, and outside the United States it has been taken up by those facing similar struggles. 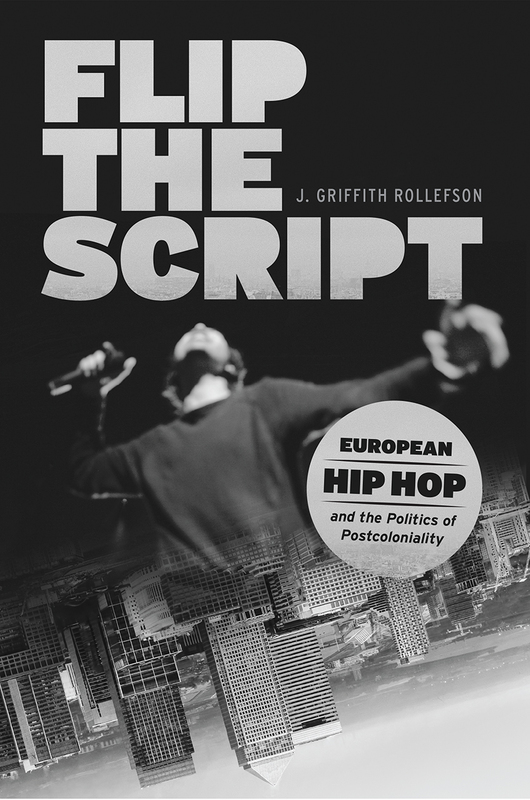 Flip the Script offers a close look at the role of hip hop in Europe, where it has become a politically powerful and commercially successful form of expression for the children and grandchildren of immigrants from former colonies. Through analysis of recorded music and other media, as well as interviews and fieldwork with hip hop communities, J. Griffith Rollefson shows how this music created by black Americans is deployed by Senegalese Parisians, Turkish Berliners, and South Asian Londoners to both differentiate themselves from and relate themselves to the dominant culture. By listening closely to the ways these postcolonial citizens in Europe express their solidarity with African Americans through music, Rollefson shows, we can literally hear the hybrid realities of a global double consciousness. Audio, video, and other resources are posted on this book’s companion website: www.europeanhiphop.org. "Rollefson offers valuable conceptual tools for understanding European hip hop. He also expands hip hop scholarship through his serious engagement with musical sound, offering a welcome advocacy of musicological tools and knowledge." "Ultimately, Flip the Script is a dense and ambitious book that will be valuable to a vast array of scholars. It will be particularly useful for those interested in European Studies, as it casts light on the postcolonial and racial dimensions that are often omitted from the analysis of European identities. It will also interest scholars studying globalization and postcolonialism, given its fresh perspective on the circulation of cultural practices, aesthetics, and political models, and the way these elements can contribute to specific local issues." "Taken as a whole, Flip the Script is an innovative and dynamic piece of scholarship that lays a valuable foundation for future work connecting the fields of hip hop and postcolonial studies." "Flip the Script is a must-read for hip hop fans that are seeking to broaden their horizons and understand how hip hop is being made and consumed in Europe. Rollefson takes into consideration different scenes, different countries, and different artists, and puts them in discussion to create a narrative that brings to light all of the complex factors of how hip hop functions in postcolonial Europe. It’s a complex subject, but Rollefson has crafted a book that is very readable, and helps build a base knowledge that will leave you hungry to learn more." "Employing sophisticated theoretical analysis mixed with ample hip-hop savvy, J. Griffith Rollefson deftly explains how hip hop artists not only flip the historical scripts of European colonial authority and narrowly defined national identities, but rip and shred them. Simply stated, this is a powerful book with a killer flow. " "Flip the Script takes us on a marvelous journey from Paris to Berlin, London to Cork, offering a brilliantly textured portrait of European hip hop. Rollefson’s lively readings of performances help us to hear hip hop music as a postcolonial art and practice that can lead us to a more equitable and just future. An inspiring and hopeful book."